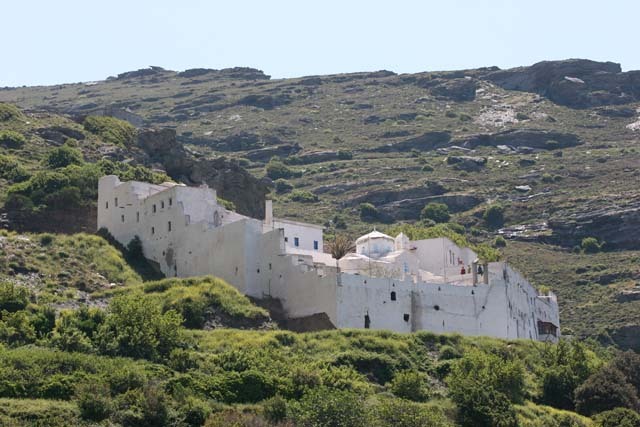 The Panachrantos Monastery of Andros (also Monastery of St. Panteleimon) is located on the Greek island of Andros in the Aegean Sea, an island of the Cyclades. “Panachrantos” refers to the monastery’s dedication to the “Immaculate” Theotokos. The monastery celebrates July 27 and August 15. 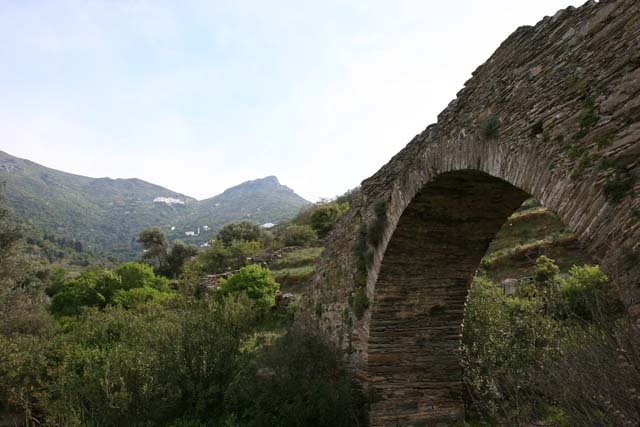 The establishment of the monastery is attributed to Stragegos (General) Nicephorus II Phocas in the tenth century, who subsequently became emperor of the Eastern Roman empire (ruled 963 to 969). 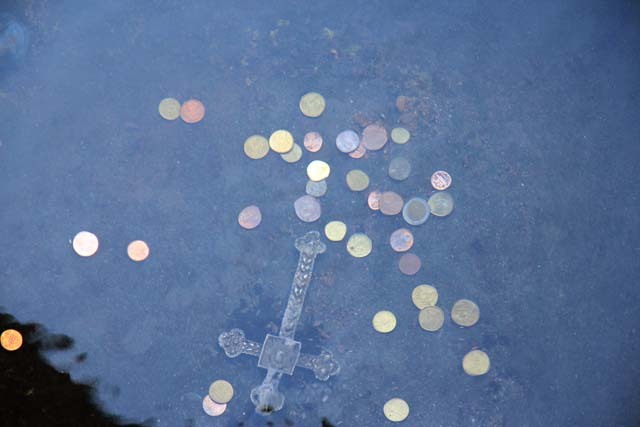 By legend, two monks, promising to pray for his victory, asked Nikephoros for financial aid when he stopped on the island on his way to battle in Crete. He agreed and promised aid for them to build a monastery provided he was victorious. With his victory, he fulfilled his promise. 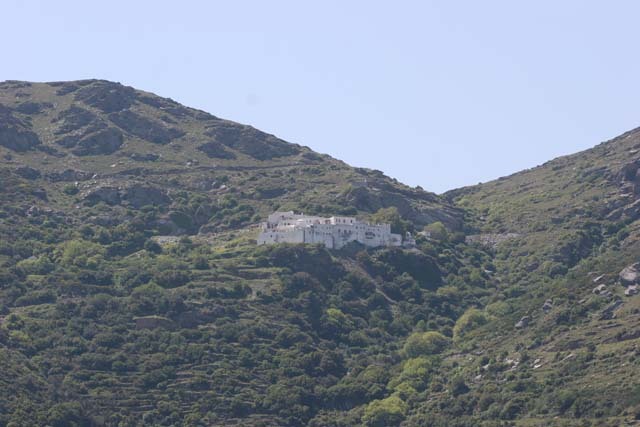 The monastery is located in the Geronakas mountainous area high on the side of Mount Katafigio at an elevation of about 2,500 feet (750 meters). Surrounded by a strong wall, the monastery appears like a “Byzantine” fortress. 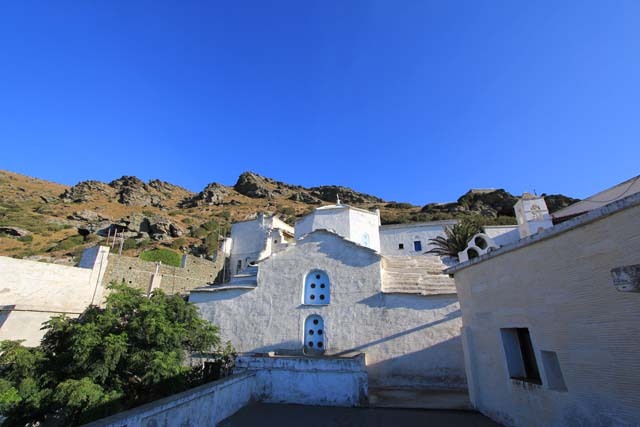 The site provides an exceptional view of Chora and the surrounding area. 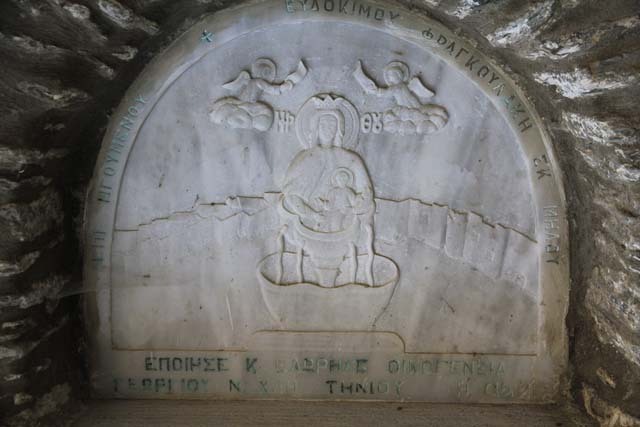 According to tradition, the monastery was built in a place shown by the icon of the Holy Mother (Panachrantos). The icon is attributed to St. Luke. The icon is still kept at the monastery on a stand next to the southern door to the altar of the main church of the monastery. This monastery also possesses the relic skull of St. Panteleimon. 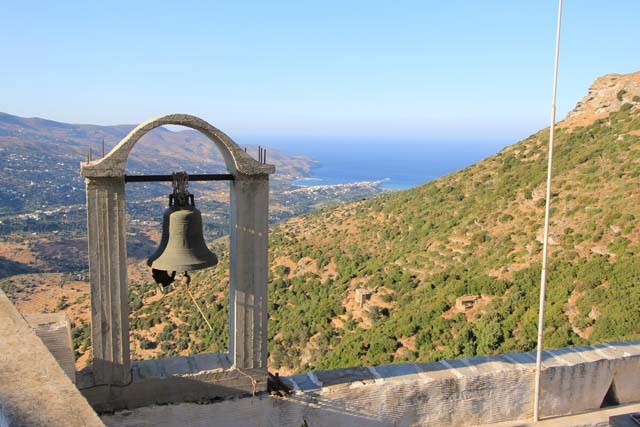 The relic and an icon of Panteleimon stand next the Panachrantos and are the pride of the monastery as well as the island of Andros. 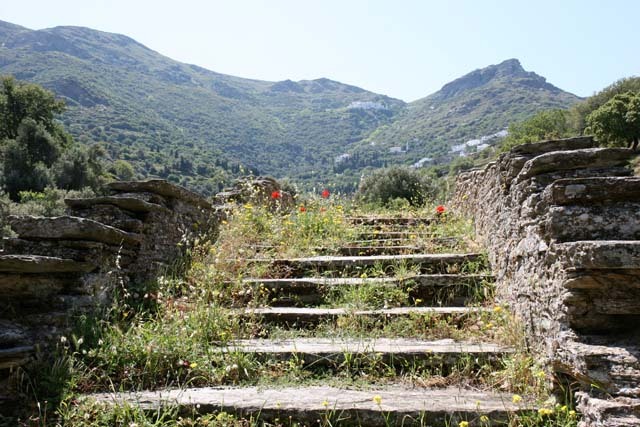 This entry was posted in Hiking in Andros, Monasteries in Andros and tagged andros, andros location, Panachrantos Monastery. Bookmark the permalink.